Is Your Hand Pain Arthritis, Carpal Tunnel? MONDAY, April 10, 2017 (HealthDay News) -- Blood tests to diagnose and monitor rheumatoid arthritis may be thrown off by obesity in women, a new study suggests. "Physicians might assume that high levels of inflammation mean that a patient has rheumatoid arthritis or that their rheumatoid arthritis requires more treatment, when in fact a mild increase in levels of inflammation could be due to obesity instead," explained study author Dr. Michael George, who's with the University of Pennsylvania Health System in Philadelphia. Blood tests for C-reactive protein (CRP) and erythrocyte sedimentation rate (ESR) can help physicians check the severity of inflammation in rheumatoid arthritis patients, the researchers said. 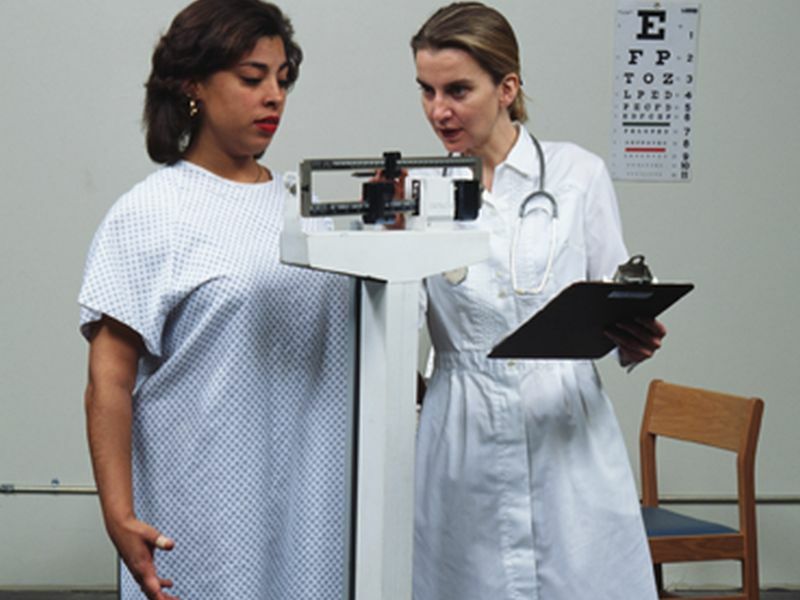 Previous studies have suggested that obese women may normally have higher CRP and ESR levels. So, the authors of this study decided to take a closer look at the issue. The study included information from more than 2,100 people with rheumatoid arthritis. The researchers then compared that information to data from the general population. A higher body mass index (BMI -- an estimate of body fat based on weight and height) was associated with greater CRP in women with rheumatoid arthritis and women in the general population, especially in severely obese women. There was also a modest association between obesity and ESR. Conversely, in men with rheumatoid arthritis, a lower BMI was associated with greater CRP and ESR. The findings may help improve understanding of the link between weight and inflammation. It may also help doctors learn more about how this relationship differs between women and men, the study authors added. The findings were published April 10 in the journal Arthritis Care & Research. "Our results suggest that obesity may lead to increased levels of CRP and ESR in women with rheumatoid arthritis," George said in a journal news release. "The increase in these levels of inflammation was not because rheumatoid arthritis was worse in these women," he said. "In fact, we found that obesity leads to very similar increases in these lab tests even in women without rheumatoid arthritis," he added. Doctors should be careful when interpreting the results of these lab tests since both rheumatoid arthritis and obesity can contribute to inflammation levels, George said.